This course is designed to develop an understanding of the chakra system and the role it plays in our day to day lives. Participants will learn about the seven major chakras of the energy body and how they influence an individual’s being in the world and his or her overall sense of well-being. Register: Registration deadline is Sunday, February 21. Please register by adding your name to the sign-up sheet in Simpson Hall, sending an e-mail to info@scos.us or, by calling 781-595-6972. 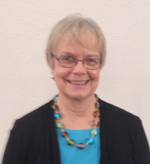 Diane is a licensed psychologist, a teacher, group leader and energy medicine practitioner. She has training and experience in mind/body approaches to facilitating well-being and has studied and practiced a variety of healing modalities. Her classes incorporate a mix of sharing of information, discussion and experiential exercises.